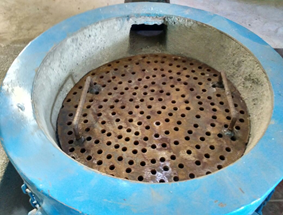 The traditional biogas technology, based on cattle dung, is useful only to households having at least 6 to 8 heads of cattle. 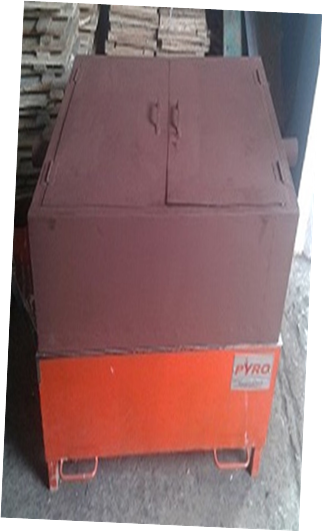 Because of the low rate of gas generation per unit mass of dung, and long reaction time of about 40 days, the smallest domestic digester has a volume of about 2000 litres. 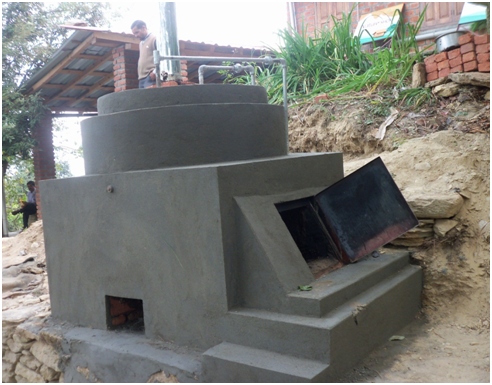 Feeding daily about 40 kg cattle dung into the digester and disposing of daily about 80 kg of effluent slurry is a great bother. 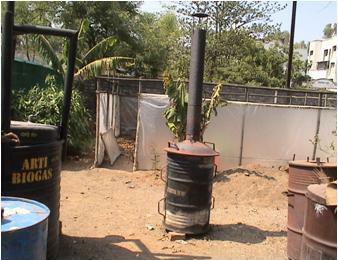 The new biogas plant developed by ARTI is much more user friendly. 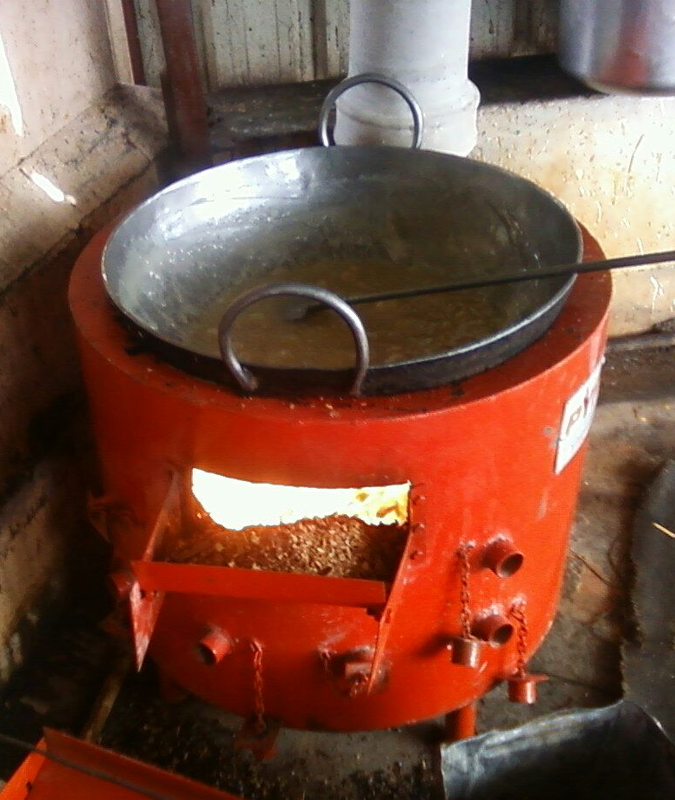 Having a capacity of 1000 litres, it uses daily just 2 kg of starchy agrowaste (e.g. rhizomes of banana, canna, nutgrass), non-edible seeds (e.g. Leucaena, Sesbania, tamarind, mango kernels, spoilt grain), oilcake of nonedible oilseeds (Pongamia, Madhuka, castor) or leftover food. Its reaction time is fast, just a couple of days. 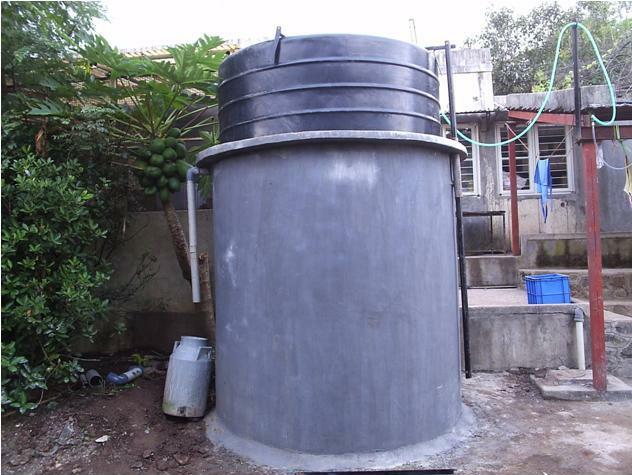 It produces just a couple of litres of watery effluent that is easy to dispose of. 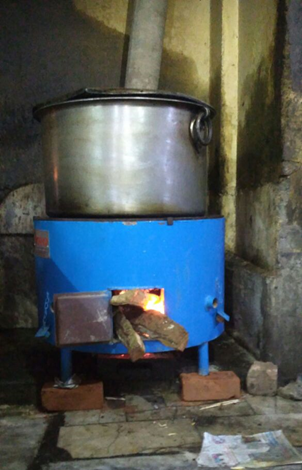 Technologies Developed By "Appropriate Rural Technology Institute (ARTI)"